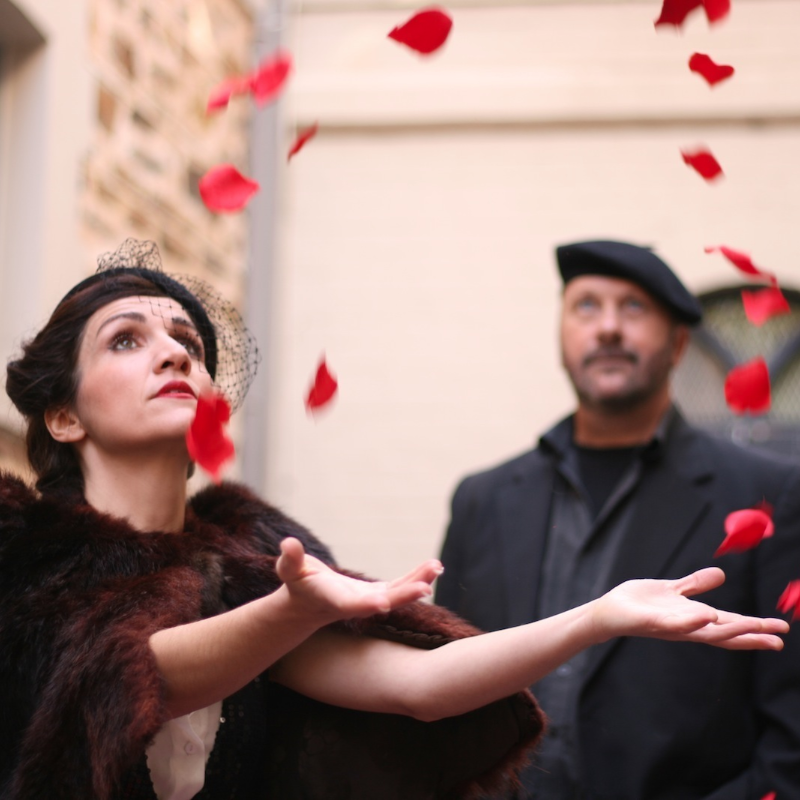 Winner Best Cabaret Adelaide Fringe '16 and nominated for a Helpmann Academy Award, Exposing Edith charts the tragic life French icon, Edith Piaf. Experience her life, loves and losses through the songs that shot her to stardom including La Vie En Rose and Non, Je ne regrette rien. Created and performed by Michaela Burger [vocals] and Greg Wain [guitar], it is a stunning mix of authentic French chanson and contemporary sounds punctuated with a collection of extraordinary story's of her life. Having explored the undertones of Piaf's vocals and lyrics, Burger and Wain have created their own unique interpretations of her work, using voice, acoustic guitar and the subtle use of loop, delay and effect pedals. "Sensational" ★★★★★ Southside Advertiser, Edinburgh "A blazing life force" The Age. Musician Greg Wain [co-creator/guitarist] was a member of internationally acclaimed vocal groups "The Swingle Singers" and "The Shout". As a guitarist he has performed with Jools Holland, recorded with Carol Grimes and was a featured solo artist at both the Pori and Turku International Jazz Festivals, Finland. Michaela Burger [co-creator/vocals] has performed with Broadway’s most sophisticated composer, Jason Robert Brown. Credits include Rumpelstiltskin (Windmill/State Theatre SA), Cranky Bear (Patch), Otello (State Opera SA), Tosca (Co-opera SA), Showtime (Gluttony) and Humphrey Bear (Channel 9). Burger and Wain are the writers and stars of the successful stage show Exposing Edith, about the life and songs of Edith Piaf.